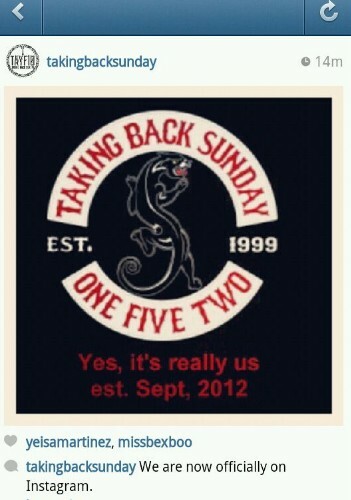 You can follow us at TakingBackSunday. Hooray! Tickets are on sale at noon local time as of today and the NYC show at Terminal 5 sold out very quickly. We’ve added another show on Nov 24 so head to the tour dates page for the ticket link. Philly and NJ are close to selling out as well. If you are planning on coming out to see us on the 10 Year Anniversary Tour please get your tickets early! We’re so excited! Hello! Excited that the dates for this tour have been announced! Some of you have figured out that the smaller shows in Chicago and Philadelphia will be acoustic. Bayside won’t be joining in for those but the openers are all listed on the Bandsintown Page on our FB. We’ve also combined shows with Motion City Soundtrack in Phoenix so that should be a fun night! Tickets on sale Friday, August 10 at noon. We found this cool video that Arturo took of Keith Buckley from Every Time I Die singing El Paso with Adam. We are still under construction so thanks for your patience! 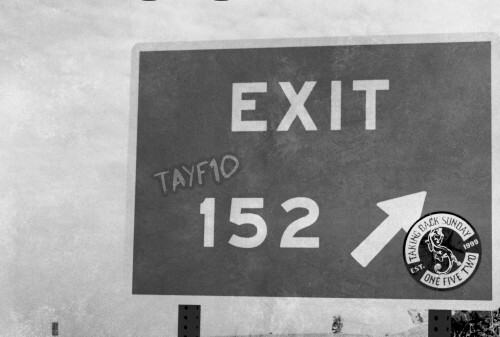 We are here to keep you up to date on all things #TAYF10!